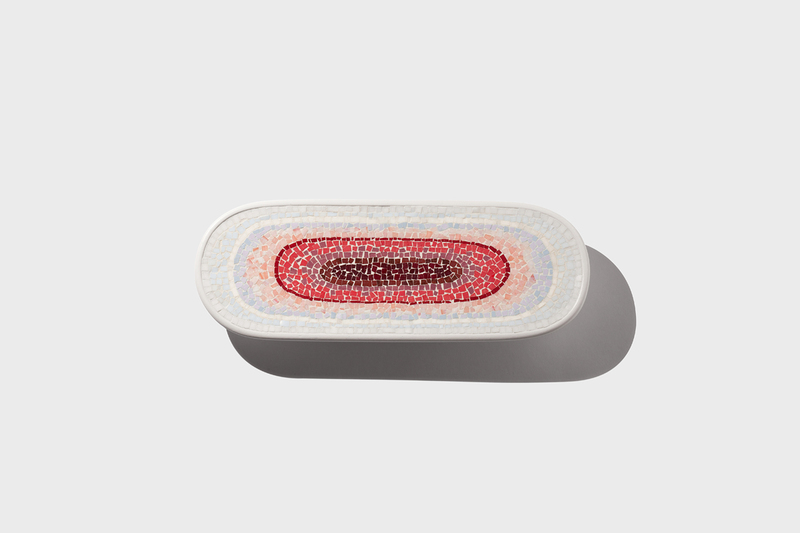 The project is about exploring the theme of color composition through a specific combination of monochrome pixels, approaching in this way the world of mosaic. 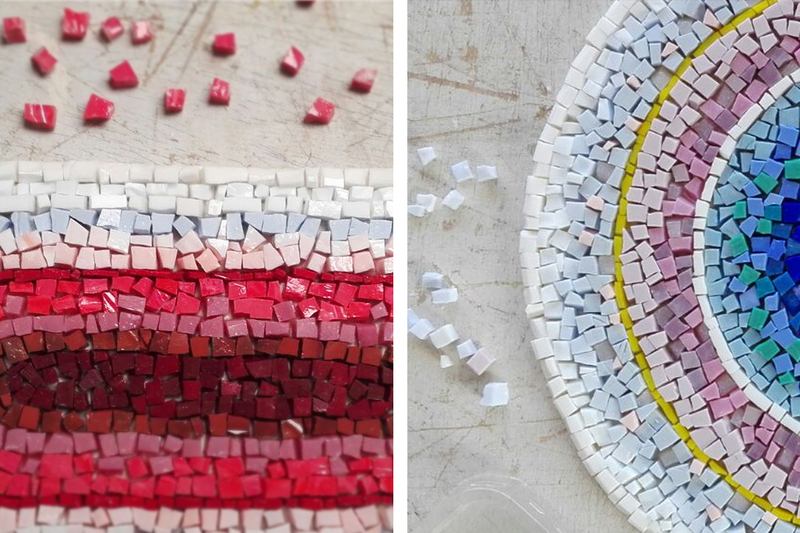 The Italian region where I come from, Friuli, has a thousand-year old tradition related to mosaic and it is still widely used for cladding, decorations and artworks. 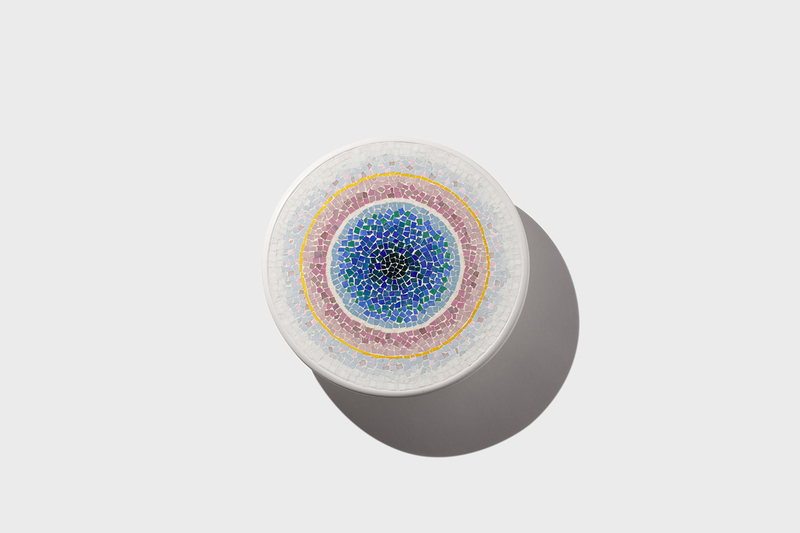 Through Dr. Gian Piero Brovedani, Director of the Mosaic School of Friuli (Spilimbergo, UD), I had the opportunity to meet Laura Carraro and Mohamed Chabarik, two young mosaic masters specialized in contemporary mosaic and known for their desire to experiment with innovative techniques. 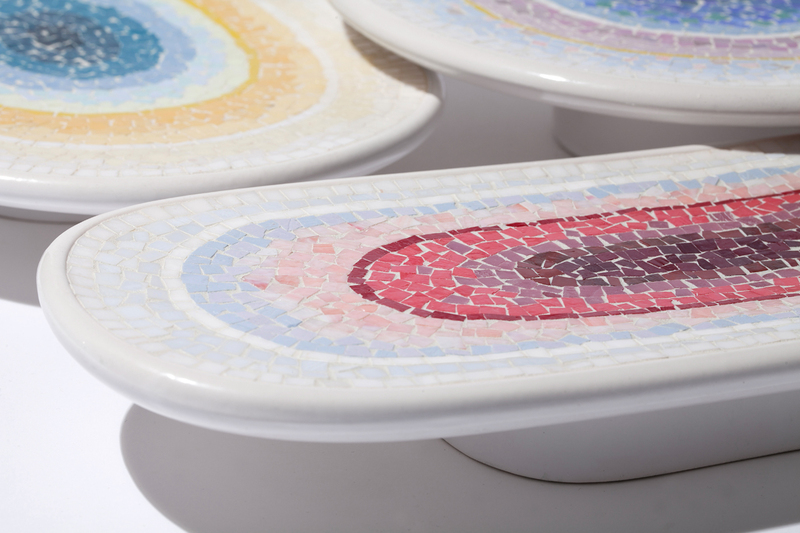 Together, we designed a motif that expresses the potentiality of mosaic in terms of color, defining a palette of progressive hues and carefully choosing the right mosaic tiles. 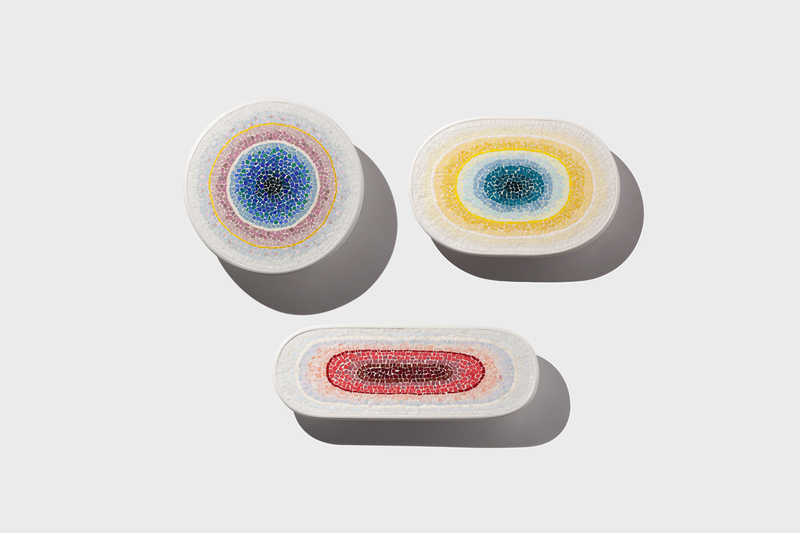 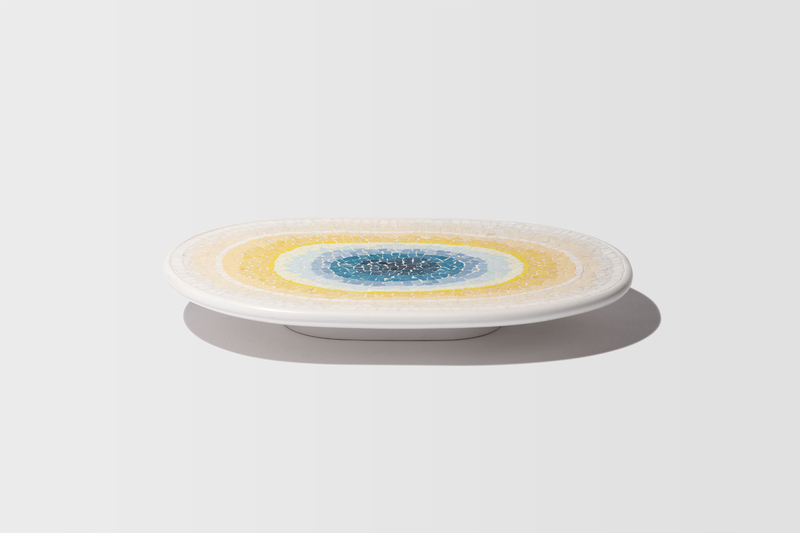 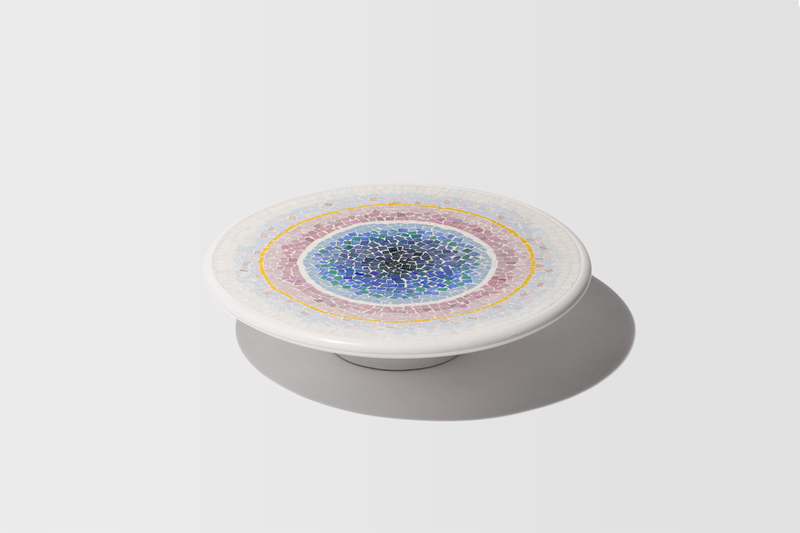 The result appears as a drop of color that expands from the center to the border, graphically emphasizing at every change of hue the shape of the plate. 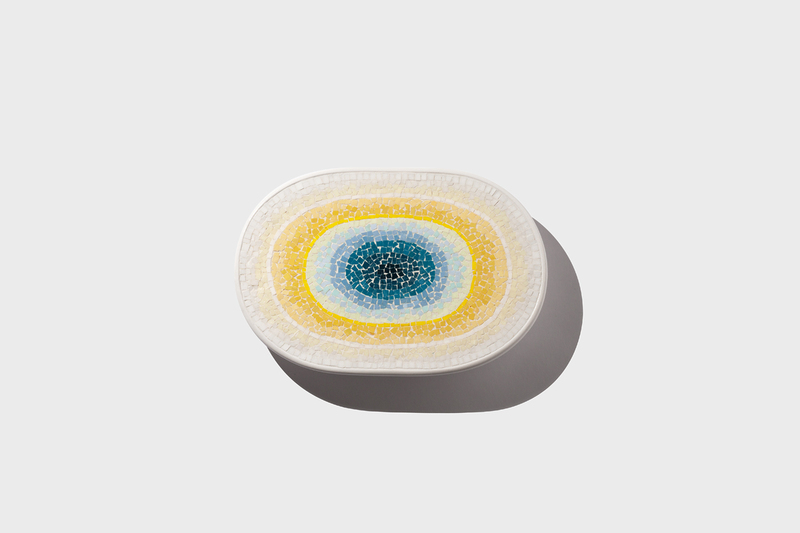 The gradient is complex and sophisticated, progressively altering both hue and lightness. 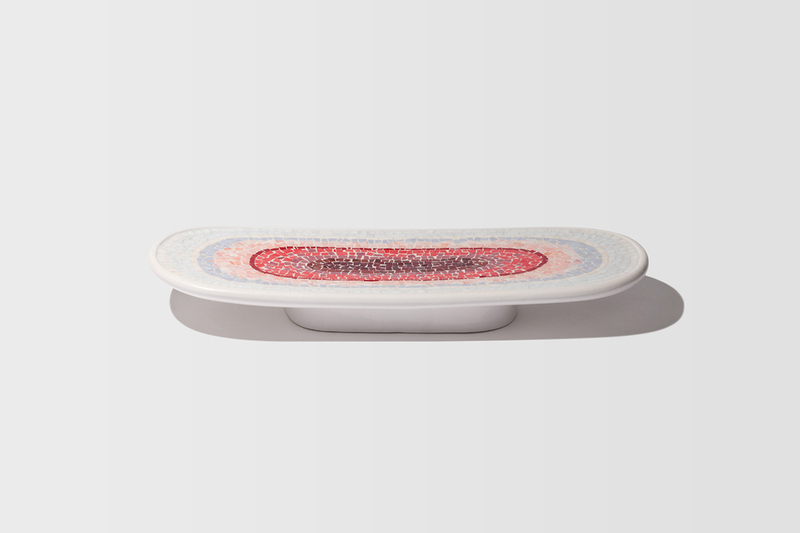 At the border, the color of the tiles vanishes and blends into the white ceramic.